WOW this Capri villa has unbelievable views overlooking School House Lake(click video tour 1 icon upper left); you won't be able to build on a lot like this. The well appointed kitchen offers Silestone counters high quality wood cabinets and gorgeous back splash that ties in the stainless steel appliances. This open concept home has beautiful wood-look tile floors throughout with crown molding to add to the numerous upgrades. The custom built-in desk and upper cabinets in the den & custom closet in the master suite will keep your things organized. To make this home even more desirable the double pane Low-E windows radiant barrier Levolor Cellular Shades & tankless gas water heater make this a energy efficient home to help keep the utility cost down. Trilogy Orlando is a guard gated community with the 57000 square foot Magnolia House that offers a resort style indoor/outdoor pool and spa event room & lawn tennis and pickleball courts bocce ball restaurant and bar demonstration kitchen massage room men and womenâs spas arts & crafts room state of the art fitness center and much more plus many activities and events to keep one busy!! 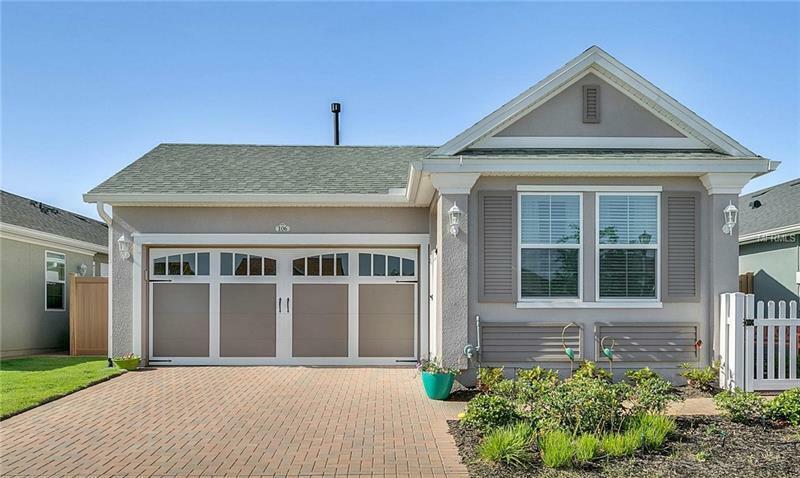 The HOA fees include lawn/shrub maintenance basic cable w/premium channels internet with landline home monitoring street lights and guard gated front entrance. Don't miss the opportunity to own a beautiful home w/premium lot in the highly sought after community of Trilogy!!! Featured upgrades list is in attachments. Amenities Additional Fees: Exercise classes have an additional fee. Events & some special activities have additional fees.